Behavior issues often require more personalized and specific information than can be provided in a group class. With Private Lessons, we'll focus on exactly what is important to YOU! Build a SOLID foundation for your relationship with your dog! Sessions will be tailored to address the specific training issues YOU identify. Appointments can be made for mornings, afternoons, or evenings and are generally available 7 days per week. $120/4 week session - this is an open enrollment style class that you can start anytime! Prepare your puppy for a lifetime at your side! Early puppyhood is a critical time for socialization and learning. Experiences during this time set the stage for the rest of your puppy's life. Preschool includes an orientation presentation, Puppy Start Right book, and four socialization classes. Puppies must be between 7 and 12 weeks old when they start and must be started on their vaccination series at least 10 days prior to the first class. Classes are being held at Trilogy Training Center, 631 X Ave, right outside of Ames. Class sizes are kept small to ensure personalized attention! Please email Erin Topp at erin@toppcaninesolutions.com to register. Family Manners for basic manners and foundation behaviors. Grown up dogs have grown up problems! Exercises include polite greetings, walking on a loose leash, and your basic obedience tool kit - sit, down, stay and come. Discussions will also cover management and solutions to dog behavior issues. Clicker training is introduced. 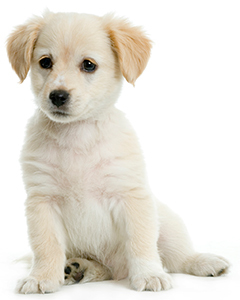 Dogs must be at least 6 months old and up-to-date on vaccinations. Take your skills to the final level! Train your dog to listen anytime, anywhere! Prerequisites: Family Manners: Foundations or dog must be able to hand target, sit, down, loose leash walk for a short distance, and come with limited distractions.